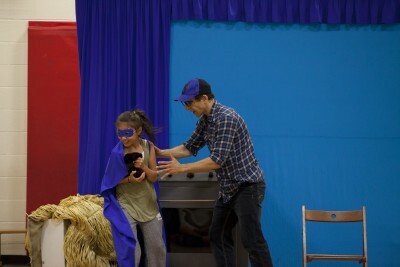 Merry Tale Theatre’s critically acclaimed school performances engage, inspire and delight young audiences by bringing classic stories to life through a unique synthesis of storytelling and theatre. Mike also offers short workshops on the fundamentals of improvisation, as well as longer workshops where students get to create and perform their own adapted fairy tales. A hilarious twist on a classic tale! 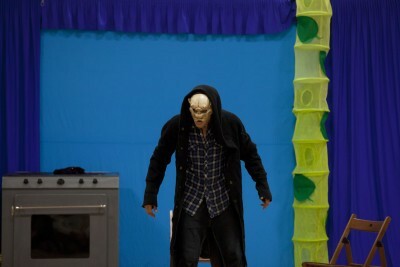 When his mother dies, Cinderfella becomes a helpless servant to his wicked step-mother and her two horrible sons. But his determination to stay positive in the face of misery ensures that his greatest dreams will come true. Details in PDF format HERE. 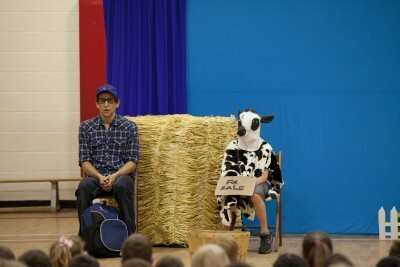 On his first day at a new school, Jack gets bullied. Fearful for his safety, Jack decides to leave and spend the day at home doing chores. But when Jack goes to the market to sell their only cow, an adventure begins that leads him to confront the biggest ‘bully’ of them all. Through games and exercises, students learn the fundamentals of ‘Improv’. Details in PDF format HERE. "An amazing show with an important message! 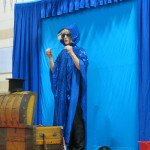 Everyone loved it"
"Our students and staff absolutely loved Michael's performance of Cinderfella! He is not only an incredibly funny and talented actor, he has an exceptional ability to connect with students. Michael was able to simultaneously make us laugh out loud and reflect on important messages throughout his show. It is rare to have a performance that is outstanding on multiple levels, but Michael hit the mark as he entertained us, reinforced important life messages, and interacted beautifully with students. Thank you, Michael!" 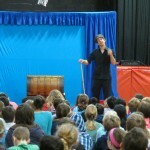 "The students loved it; they were totally enraptured!" "Hilarious! 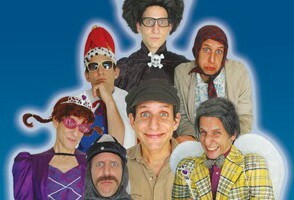 A great show for primary AND Junior kids!" 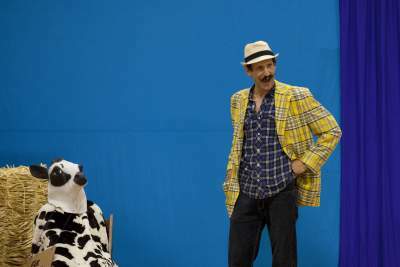 "Hilarious, delightful and touching… one of the best productions to be staged at the School! … The gifted Mike McMurtry was able to enthral his viewers for the entire performance; and he had the children asking for more… A must see for all students!" "A provocative way to get the students to rethink fairy tales… Thoroughly entertaining!" 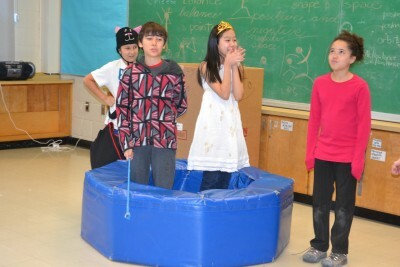 "Great fun for students AND staff! … Intelligent, creative, hilarious and accessible for all the kids from JK to grade 6." 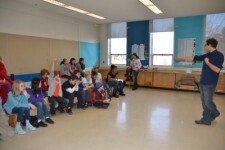 "Cinderfella was highly engaging for students from Kindergarten to Grade 6. Michael had everyone's attention for the entire performance." "Excellent in all respects! When Michael McMurtry visited our Junior School to share Cinderfella, it was a welcome afternoon of quality entertainment for children and adults alike. Without straying from the essential truths of this timeless tale, Michael reinterpreted the story for us in a uniquely comic way that left the lessons intact amid peels of laughter from clearly delighted children. Great intertextuality and clever allusions. I have never seen our music teacher laugh harder!" 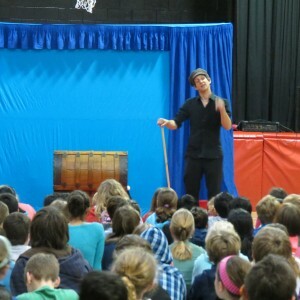 "Mike is an awesome entertainer and wowed us with his interactive, animated and energetic one-man fairy tale… The students were completely engaged and motivated! It was a wonderful story with important life lessons about empathy, kindness and honesty." "A performance truly not to be missed! students (K-6) staff and parents laughed themselves silly. Cinderfella is an animated story-telling performance that delivers strong messages about kindness, hard work and perseverance." "Not only did Michael have the children laughing and engaged throughout his entire performance, he had the teachers too!" "The best performance I’ve seen at a school in a long time!" "Michael kept the whole gym enthralled… A great show!" "An exhilarating one man play that celebrates what’s important in our world"